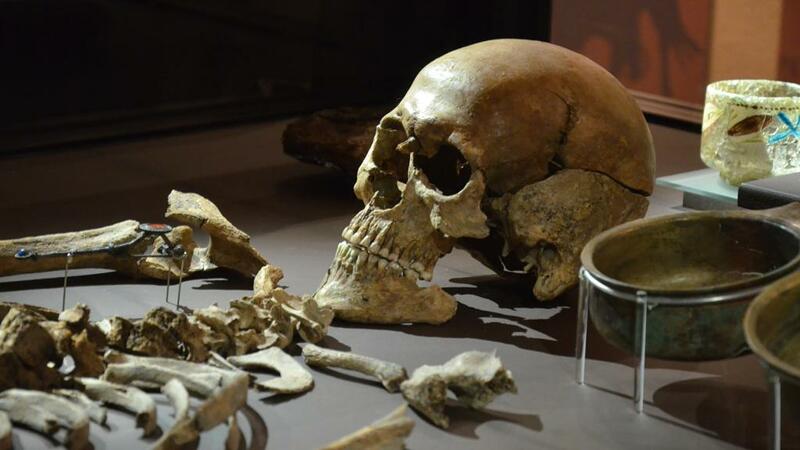 It is interesting that the recent find of a high status burial at Kroppedal , Sjælland had a skull wound which appears to be an arrow wound that was limited in its penetration by a helmet even though helmets are very rare as finds from that period, the Roman Iron Age, and none is found with the burial. He fell unconscious and died almost immediately. The complete account can be read HERE .